The Ghost of Crowley Hall - A documentary investigating the strange phenomena at the hall. During one of the worst thunderstorms in recent memory, workaholic businesswoman Sarah is left with no electricity and no one to keep her company. The only person able to help her out is her flat mate from downstairs, the loner Dennis. As she struggles to meet a work deadline, she discovers that her flat has been sabotaged by an unseen intruder. The obvious candidate is a mysterious stalker who is now continually phoning her up and threatening her. During the night, she slowly begins to loose her sanity as strange events happen around her. But is everything real, or is the stress of her job finally taking its toll and making her imagination run riot? The police are unable to help her. And what of her only real friend downstairs? Can he help? This is the trailer to the short film 'Ukoyika' produced and directed by LadyAxe for the Cape Town Horror Festival in 2007. An Australian teenager travels with her aunt, who has to interview a curator about an old mining village. While she waits outside, she follows a mysterious young boy, who lures her to play with him. The teen falls into the old shaft. 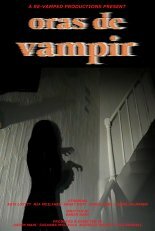 Enveloped in pitch darkness, with no way out, she encounters the evil inside... of the fallen miners who died there in a cave-in, more than 80 years before. 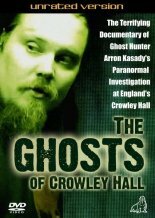 'Ukoyika' appears as a speacal feature on 'The Ghosts of Crowley Hall' DVD.